This Edition is built from 10 different posts, papers, and articles. Taking a long-term view of customer relationships, rather than a transactional view. Understanding the upper limit of spending to acquire customers before growth becomes unprofitable. 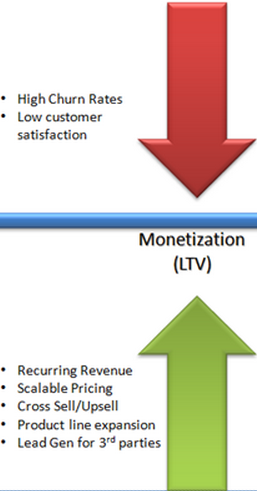 Considering profitability from a per-customer perspective, and ways to improve it. Customer Lifetime Value (LTV) is useful as a crude heuristic, but there are ways to calculate it in detail, to account for more and more variables that will increase the accuracy of the measurement. 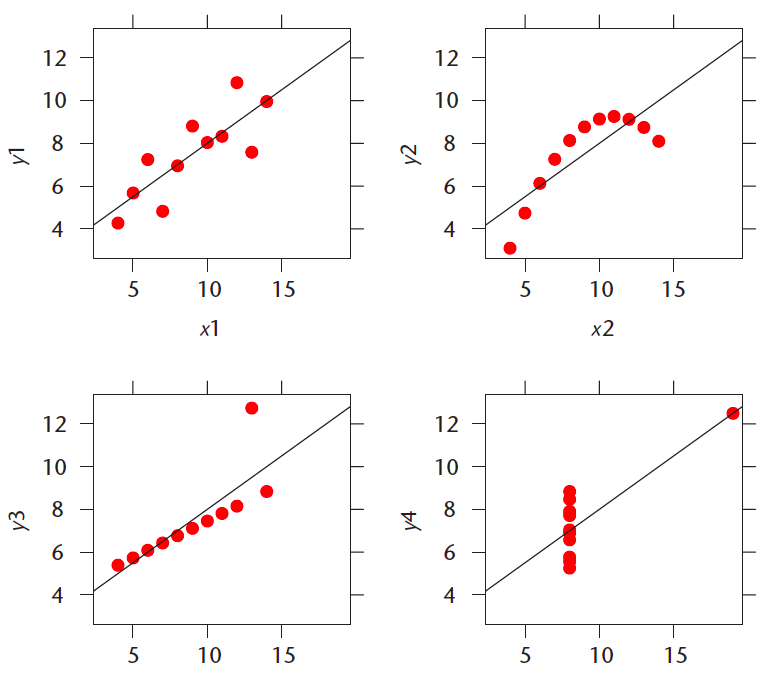 In this Edition, we’ll go through a crescendo of complexity, starting with simple examples and getting to fully-developed formulas at the end. We’ll end with caveats and the possible mistakes or misunderstandings in this model, so please learn this thoroughly so you don’t go off half-cocked. For this particular subject, half-educated may be more dangerous than no awareness at all. To get a sense for how this model fits into actual strategies, let’s check out this article from Wharton, which gives us a few examples of companies employing strategies based on the LTV model: Amazon and Sprint. Amazon will lose money on each $199 Kindle Fire it sells, but hopes to make back that money and more on tablet users who are expected to spend more than other customers. Sprint is not expected to turn a profit selling Apple’s iPhone for at least three years, but expects that gamble to pay off in happier users who will bring in more subscribers. These businesses are looking at the long-term relationship with their customers — Amazon in particular. If a 30-year-old is a customer, they may very well be a customer for the next 30 years, and that’s incredibly valuable. What is the lifetime value of an average customer? How much do you spend to acquire an average customer? Since iContact operated on a subscription model, I could estimate the lifetime value of an average customer by taking the monthly average revenue per user (ARPU) and multiplying it by the average number of months a customer stayed. I knew the average monthly revenue per customer was $45 at the time. I also knew our monthly average churn rate was about 3%, meaning an average customer stayed with us 1/0.03 or about 33 months. So to get an estimate of the lifetime value we simply multiplied $45 and 33 to get about $1500. Then to calculate how much we spent to acquire an average customer, Jud told me to simply take what we spent per month on advertising and divide that figure by the number of new customers we acquired in a month. At the time, we were spending about $100,000 per month on advertising to acquire 330 customers per month. So our Customer Acquisition Cost was about $300. There it was. We knew we spent $300 up front to acquire a revenue stream of $1500 over about three years. This was very profitable transaction to make. Allis’ example above is a great simplification, and it can hold if there is only one channel that customers are coming from. However, to get a more complete understanding, we have to match LTV to CAC by channel. Not all users are equally valuable because some stay longer, spend more, etc. You can’t trust averages of aggregate data. Dig deeper! They all tell very different stories. In order to avoid making mistakes in interpreting your LTV data, look at it by segmenting it into channels and comparing to Channel CAC. Can’t be easy to collect this data, but it’s important insight! Looking at this breakdown, an LTV of $25 could be excellent for some channels (SEO), but disastrous for others (Offline Ads, SEM). Many thanks to the inimitable Clay Patterson for suggesting this post. Of course, LTV is not assigned and then constant for all time — there are myriad ways to improve Customer LTV (or to allow it to languish and fall.) 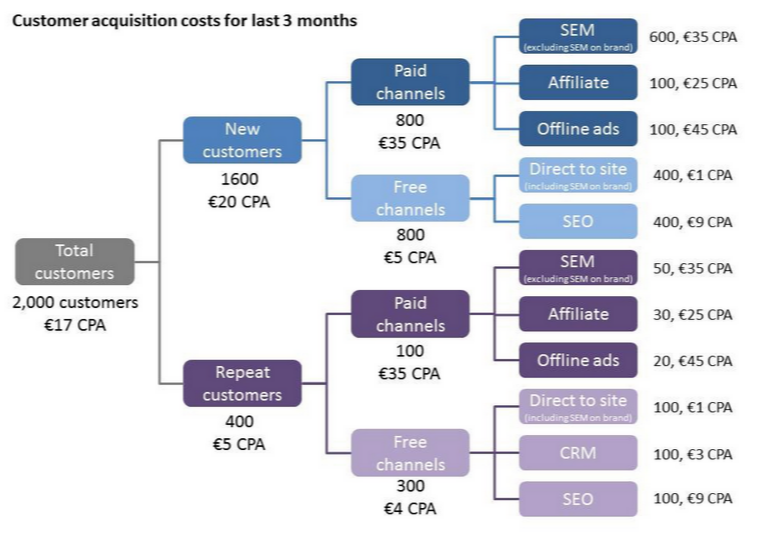 This graphic from David Skok shows the tactics that can be employed to increase LTV, either to increase profitability, or to make a channel profitable in context of CAC. This is your playbook for increasing profitability in current channels, and for unlocking growth by creating more viable Customer Acquisition channels by increasing LTV. Thanks to Scott Smith of CatchaFire and Jonno Elliott of Virgin for suggesting David Skok’s post. This 6-page PDF that goes through the definitions, formulas, and relationships for all of these measures is an incredible resource. By reverse-engineering this, you should be able to put your own LTV analysis together. Thanks to Bo Fishback for the pointer that phone/cable companies are fantastic models for LTV calculations. If you only read two things on LTV, it should be the 2 posts in this section. David Skok’s post, Saas Metrics 2.0 is unbelievably thorough and thoughtful. It takes us through a careful blend of math, mental models, and strategic insight that is truly enlightening. In the early days of a SaaS business, churn really doesn’t matter that much. Let’s say that you lose 3% of your customers every month. When you only have a hundred customers, losing 3 of them is not that terrible. You can easily go and find another 3 to replace them. However as your business grows in size, the problem becomes different. Imagine that you have become really big, and now have a million customers. 3% churn means that you are losing 30,000 customers every month! That turns out to be a much harder number to replace. Turns out that pricing your product right can have a huge impact on the unit economics. Not simply by getting the average MRR right, or by providing upsell opportunities — but also by signaling what pieces of the product are most valuable. One of the biggest challenges we face is the trade-off between growth and unit economics (specifically churn). Many of the things that we have done to reduce churn have (potentially) come at the expense of lowering our growth rate. Those have been some of our hardest decisions. David Skok’s post, Saas Metrics 2.0 is a crown jewel of LTV knowledge, for anyone in any kind of business, not just saas — read it well. As mentioned in the intro, there are dangers and downsides of LTV thinking, and it’s crucial to understand the potential pitfalls of models when using them. Gurley’s post, The Dangerous Seduction of the Lifetime Value Formula, does a fantastic job at this, and is broadly-cited as one of the best collections of practical wisdom on LTV anywhere online. Seduced by the model, its practitioners often lose sight of the more important elements of corporate strategy, and become narrowly fixated on the dogmatic execution of the formula. In these cases, the formula can be confused, misused, and abused, much to the detriment of the business, and in many cases the customer as well. This may be the single most important issue and it lies at the heart of why the LTV model eventually breaks down and fails to scale ad infinitum. Tren Griffin, a close friend that has worked for both Craig McCaw and Bill Gates refers to the five variables of the LTV formula as the five horsemen. What he envisions is that a rope connects them all, and they are all facing different directions. When one horse pulls one way, it makes it more difficult for the other horse to go his direction. Tren’s view is that the variables of the LTV formula are interdependent not independent, and are an overly simplified abstraction of reality. I like to say that ARPU, COGS, CPGA, churn, and WAAC are the Five Horsemen of the Business Apocalypse. Each Horseman is deadly and can kill you on their own. Understanding each Horseman is worthy of a book or two, or at least an article. Gurley’s post is a must-read for anyone in a business employing the LTV model, and a fantastic complement to Skok’s post. If nothing else, read these two posts together and you’ll know enough to be effective! Thanks to Bo Fishback for suggesting this post and inspiring the topic choice. For those who want to become black-belts in practicing LTV, here are some additional resources. If you’re feeling like you know enough for now, skip to the part where you share this and tell your friends to sign up for Evergreen. A Harvard Business School Case Study takes a look at the Rosewood Hotel chain, and debates whether investing more in a corporate brand would increase Customer Lifetime Value by increasing the number of stays per year per guest. To understand the concept of customer lifetime value (CLTV) and the importance of maximizing a customer’s lifetime value for the firm; learn the components of customer lifetime value and how each component can be estimated; calculate customer lifetime value based on a combination of financial and non-financial data; and explore risks and opportunities associated with corporate branding vs. the branding of individual products. If that sounds like interesting Homework to you, you can go here and purchase the Case, and work through the problem to test yourself! To go deep (Mariana Trench deep) on Lifetime Value Calculations, this will be a good place to start, and read down the citations from there. Creating this collection led me into all kinds of curious mind-wanderings. This is a powerful model to approach business, and can be useful in starting companies, managing them and as an investment thesis. Here are some of the things I found myself wondering. If you know about them or have any helpful resources, please comment or send me a note! Which businesses have the highest LTV? Which businesses have greatest increase to LTV? What is the lowest-LTV business that is still sustainable? Massive appreciation for all of the contributors to this Edition of Evergreen: Bo Fishback, Clay Patterson, Scott Smith, Mark Stansbury, Julian Miller, and Jonno Elliott. Many thanks for being a part of this project. If you appreciated any part of this, the best way to show that is to join now to contribute to and receive future Editions of Evergreen. The next best way is to personally recommend it to a friend (or all of them).